Last year, we opened our Christmas letter by saying that our family had not grown during the last year – not even a new granddog. Well, this year we have exciting news – Christopher, our middle son, covered both of those bases. Yes, we have a new granddog – Indiana Shirley (named after a nickname that Delron picked up when we lived in South Bend). 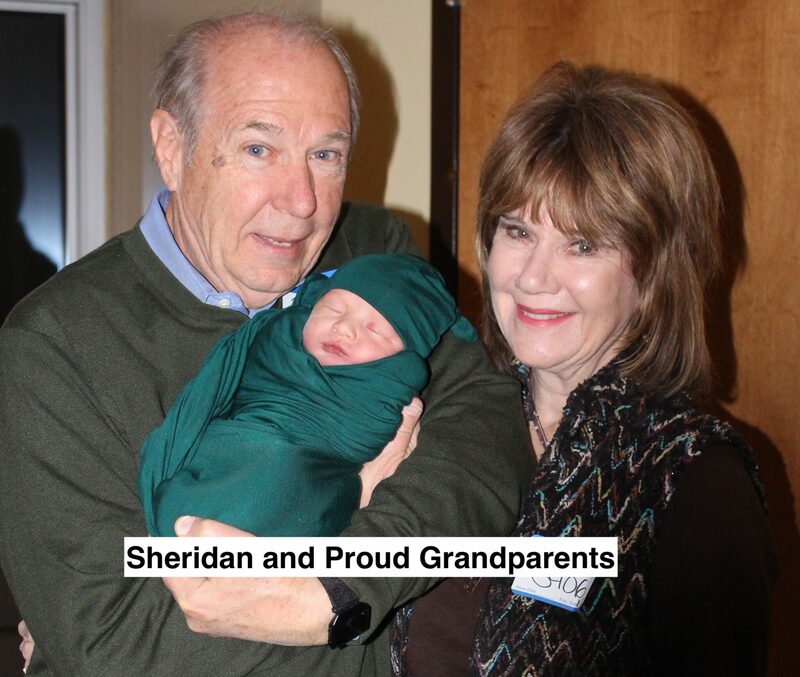 But even more exciting, we have a new grandson – Sheridan Christopher Shirley born on November 19 to Christopher and Megan. 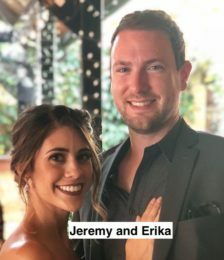 Jeremy, our youngest, is entering his third year as a commercial real estate broker in Colorado Springs and has been acknowledged with several awards including Rookie of the Year. His girlfriend, Erika, is pursuing an accelerated nursing degree program this coming fall. Yeti, the favorite granddog of the Shirley family – according to Jeremy – is enjoying his amazing Colorado life with the family. Jon, Zohra, and Rhoden have had a very exciting 2018. Earlier in the year, Jon accepted an offer to work for an investment banking firm in Colorado Springs. Zohra is getting closer to completing her degree in Computer Science, and Rhoden has entered the world of junior high and has started his own cell phone repair service in addition to becoming an amazing drummer. The year has also been full of other excitement with our travels all over the world. 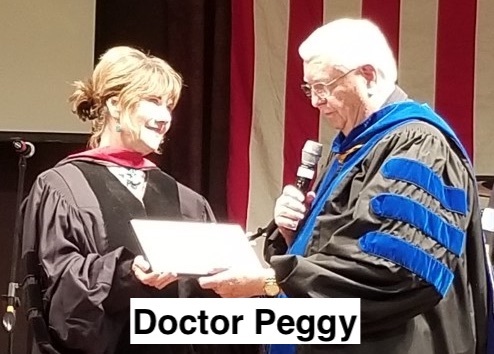 Peggy led teams of Charis Bible College students to Mexico, Sri Lanka, and Brazil. Delron led a team to the Dominican Republic and also went to India to speak at the four Charis extension campuses in that country. 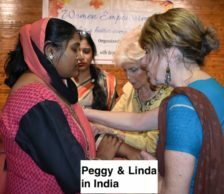 Peggy also made her own visit to India where she not only had the opportunity to minister in several women’s conferences but also was able to train a group of Bhutanese women who crossed the border into India to attend a special conference for them. 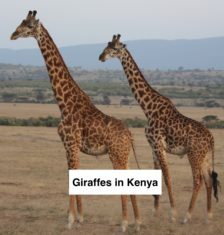 In addition, Delron made two trips to Africa. The first trip took him to the Democratic Republic of the Congo, Rwanda, and Kenya; a second trip was to Nigeria. In addition to all that we get a chance to do through hands-on ministry, we have also had the opportunities to further the work of other ministries by assisting them to obtain the tools they need for their work. 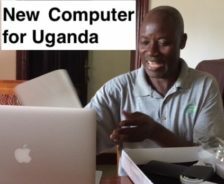 One example was the request that we received from a pastor friend in Uganda, stating that he needed a new computer. The request came a couple days before one of Delron’s students was to leave for the country; so, he had to make a quick decision to get the computer to her before she left the States. He found a lot of used and refurbished ones; however, he knew that he needed to get a new one since it would be a waste if there were problems with it in Africa. Thinking of the Golden Rule, he decided to buy the one that he would want for himself – a $1,300 machine. Fortunately, he could get it for a little over $800 online. The next day, a lady that he had never known before came up to him at a meeting and handed him a check that covered the cost of the laptop plus some extra! The African pastor was so excited with the new machine that he could hardly find words to express himself for the provision of the necessary equipment to make his work faster, easier, and more enjoyable. Additionally, we were able to provide a state-of-the-art scanner-printer-copier to another ministry that helps feed and educate destitute children in Africa. 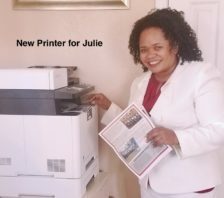 By owning their own printer, they are able to save enough money each month to support two more children each month and to expand their support-raising efforts in order to rescue even more children. 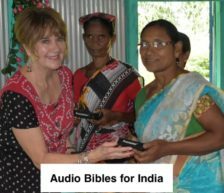 In India, Peggy brought solar-powered audio Bibles and distributed them among illiterate tribes and also provided them with visual Bible lessons so they can learn and understand the Bible’s truths. One thrilling aspect of our ministry that is continuing to grow and become even more effective is the translation and distribution of our books around the world – often in places where we are not even able to go. This year a second of Delron’s books was released and additional copies of Peggy’s book were published behind the Quran Curtain – making a total of over ten thousand of our books that are in circulation in this highly restricted Muslim country. 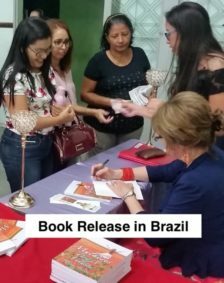 Additional copies of Peggy’s book were printed and distributed in Thailand, where over twenty-five thousand copies have been distributed. One report that we have received concerning the impact that these materials are having had to do with a pastor who was adamantly opposed to allowing women in any form of ministry because of his church affiliation. 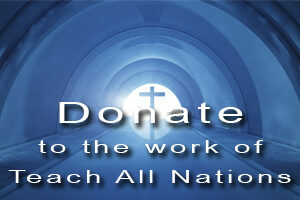 After reading Peggy’s book, he was so changed that he said he could barely identify himself with his denomination. Maximum Impact, one of Delron’s recent books has become widely acclaimed by pastors around the world and is currently being translated into Spanish, Portuguese, and Nepali while Peggy’s Women for the Harvest was released in Portuguese this year and is presently being translated into Hindi – the fourteenth language. Delron just published a set of three small books which all revolve around the same theme – the importance of having a renewed mind. He jokingly says that all great authors write a trilogy; so, he wrote his just in case he ever becomes a great author. He then concluded with, “Because of the impact that this book had on us and others, we ALWAYS include Dr. Delron’s teachings from Finally, My Brethren in our Bible studies within the US and Philippines. Thank you Dr. Delron for your faithfulness in teaching the word. We also intend to use the strategies as outlined in “Maximum Impact” during our future missionary work in the Philippines”. Another encouraging report came from an individual who has had the Finally, My Brethren book for approximately seven years. He said that he pulls it out every few months to reread portions because he feels that it gives him a blueprint for his life. 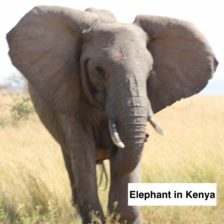 During Delron’s visit to Kenya, the team was privileged to have three free days to do a wildlife safari in one of the national parks. Peggy had the opportunity to visit an elephant compound in Sri Lanka and take a ride on one of the friendly giants. One special treat that we learned of this year was that one of our former students has a special prayer time with her young nieces each time she receives our newsletter. She reads the newsletter to them and even looks on the world map to show them where we have been. The children even followed up by writing us letters to tell us a little about themselves and included drawings of themselves and their pets. 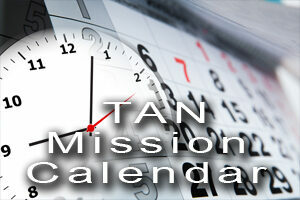 One girl even said that she hoped to be a missionary someday.